A May 2017 study published in JAMA Internal Medicine demonstrates that higher prices are common in American emergency departments—most adversely affecting poor, minority patients. Overall, services provided by emergency medicine physicians were marked up by 340 percent compared with a 110 percent markup for services provided by internists outside of the emergency room. Prices charged for the same services vary widely from emergency department to emergency department. Furthermore, it’s always more expensive to get treatment for a condition in the emergency department than it is to receive treatment in a physician’s office or urgent care center. Many people who receive very high bills from hospitals are those who can least afford them: minorities who lack insurance. High medical bills can lead to a downward spiral and are the leading reason why people declare bankruptcy. Fears about how much hospitals charge also discourage people from seeking necessary care. These people end up eventually presenting to the emergency department with graver conditions that not only take a large toll on quality of life but also end up costing more. Hospitals use chargemasters, which are lists of services and their costs, to collate a patient’s bill. However, the true price of services varies depending on the type of insurance that a patient has and network status. Patients who are in-network and their insurers typically pay less; whereas, patients who are out-of-network and don’t have insurance pay full hospital charges, which can be several multiples of what Medicare pays. The most expensive hospitals can charge in excess of 900 percent more than what Medicare pays. In this price-analysis study, researchers analyzed billing records from 12,337 emergency medicine physicians practicing in nearly 2,707 hospitals throughout the United States. Similarly, they examined the records of 57,607 internal medicine physicians practicing in 3,669 hospitals. When the same services were performed by either an emergency medicine physician or an internist, the markup was significantly higher for the services rendered by the emergency medicine physician. For instance, the median charge for an electrocardiogram was $95 when interpreted by an emergency room physician; whereas, the reading by an internist cost $62. "In considering all ED services, for every $100 in Medicare allowable amounts, different hospitals charged patients between $100 (markup ratio, 1.0) and $12,600 (markup ratio, 12.6), with a median of $420 (markup ratio, 4.2); in contrast, the median hospital’s internal medicine charge would have been $200 (markup ratio, 2.0)." Emergency physicians ended up charging $4 billion, almost $3.1 billion more than Medicare allowable amounts. Markup was greatest for suturing of lacerations (i.e., wound closure). CT scans of the head had the largest variation in price among hospitals surveyed. In other words, CT scans of the head ranged most in price. 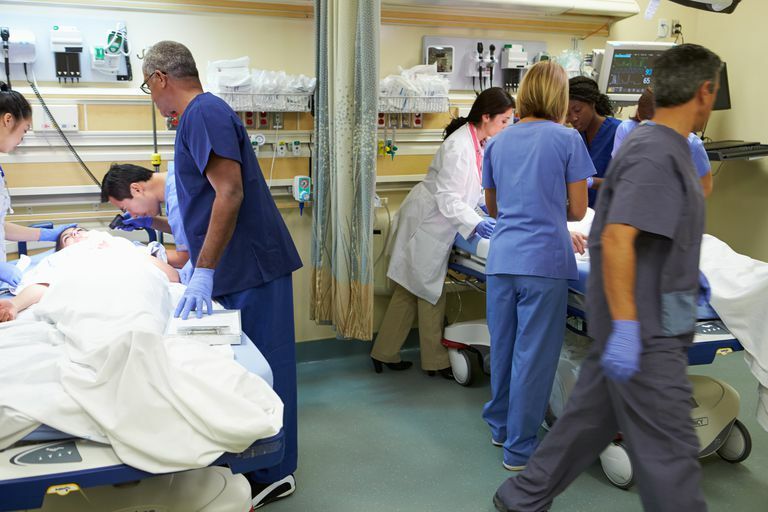 Emergency departments that charged the most were a part of for-profit hospitals and located in the Midwest and the southeastern United States. These emergency departments served larger numbers of uninsured Hispanic and African American people. When a person is treated in the emergency department, often with little choice, they are subjected to the vagaries of price. According to the authors, "Now, more than ever, protecting uninsured and out-of-network patients from highly variable hospital pricing should be a policy priority." The results of this study underscore the need for more transparency in hospital billing. They also support the need for state and federal legislators to protect patients against raised prices. Medline. When to use the emergency room. Xu, T, et al. Variation in Emergency Department vs Internal Medicine Excess Charges in the United States. JAMA Internal Medicine. 2017.